hippos&hearts: things that make you go...mmm! I spent Friday afternoon walking the streets of downtown Portland and stopped at 10th & Adler and found myself in food mecca! There were carts parked side by side, lining a few blocks and crowds at each one. I started at one block and walked around to survey each cart and then decided on "the chicken lady" as the locals call her. 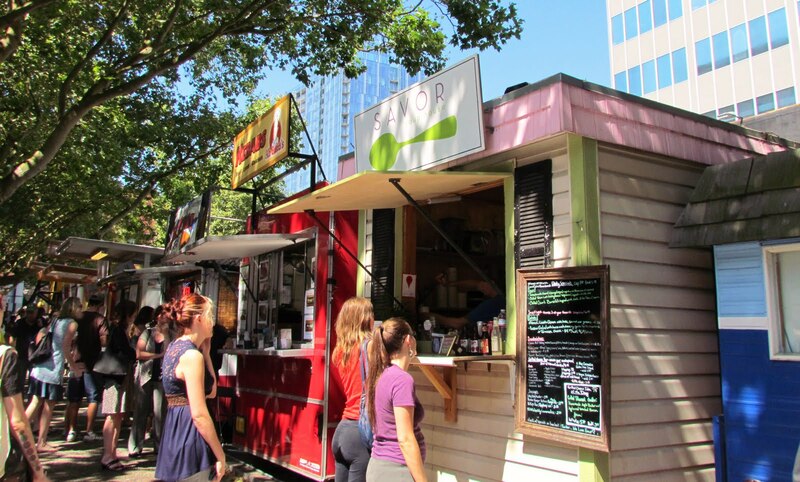 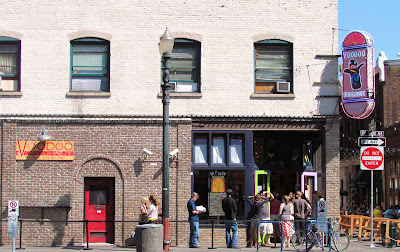 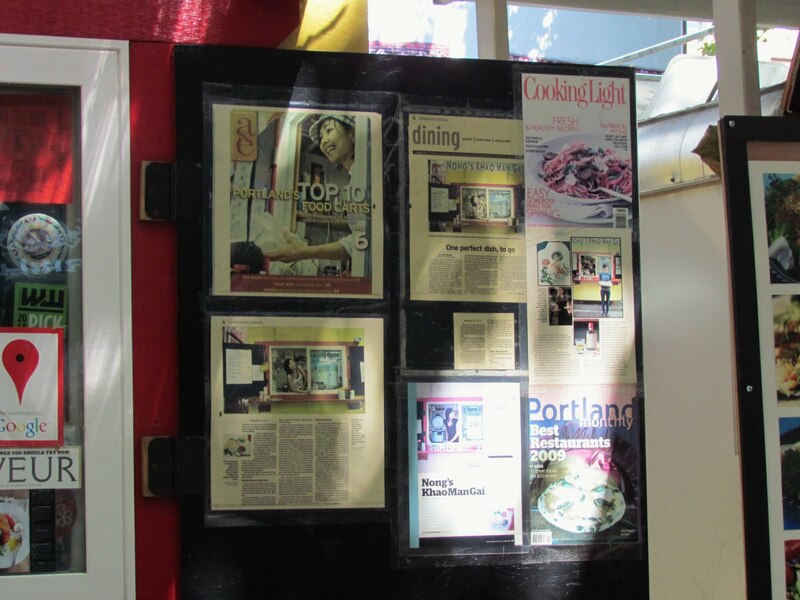 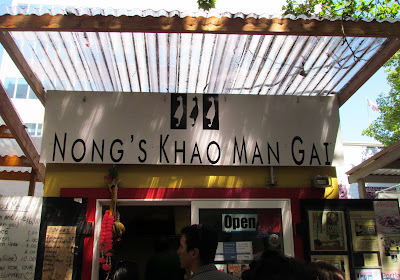 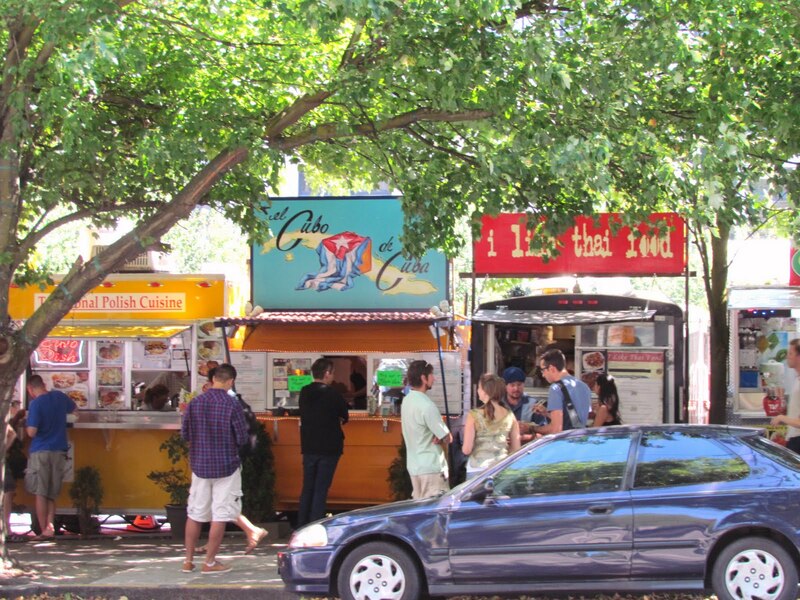 Nong's Khao Man Gai is very well known in Portland and around the world, she has been listed as one of the top 10 places to eat in Portland by a british news website and EveryDay with Rachel Ray magazine. You don't have to worry about what to order as there is only one item on the menu, chicken and rice. But hey, if it ain't broke...don't fix it! 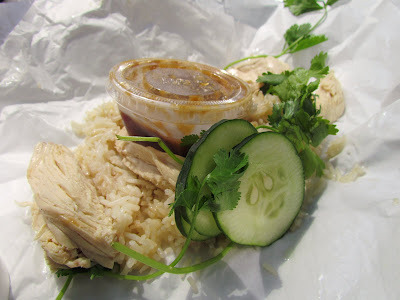 The chicken is poached and served on top of rice with a side of ginger sauce and cup of soup. The flavors are simple and clean and the sauce makes the entire dish. 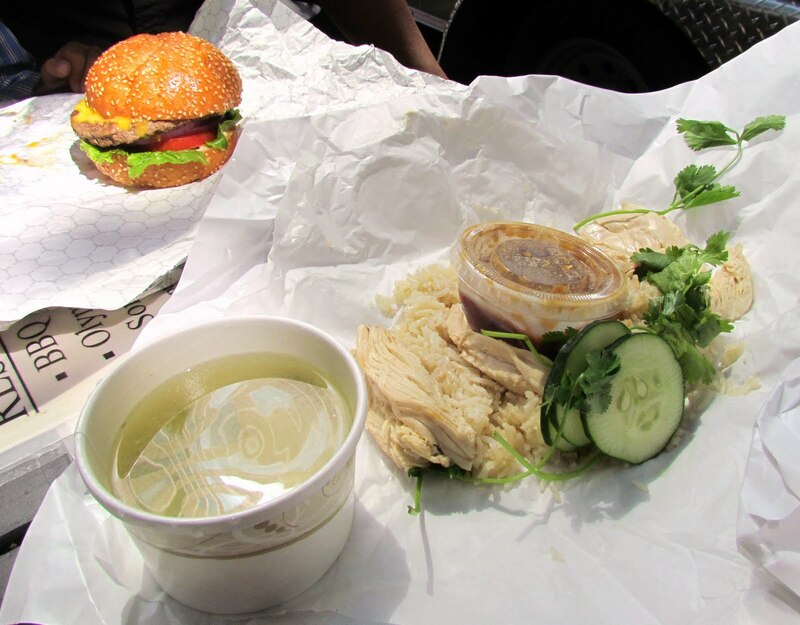 My brother got a burger from another cart a few steps over and it was delicious! The patty was juicy and the bun was a soft sesame brioche. 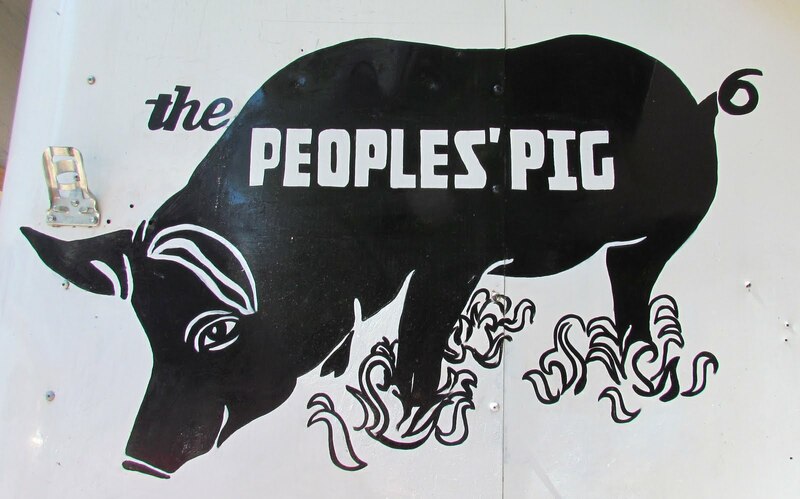 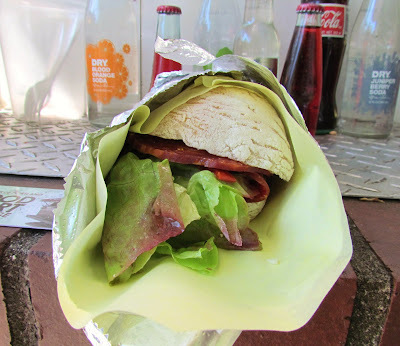 At The People's Pig I grabbed a soppressata sandwich with goat cheese, pickled peppers and vinaigrette salad. Their menu changes daily and the meats are freshly prepared, can't get any better than that! 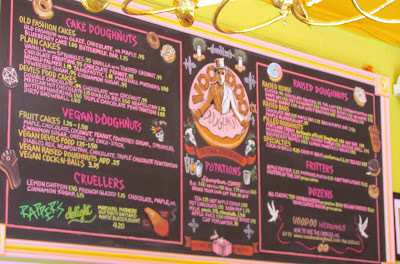 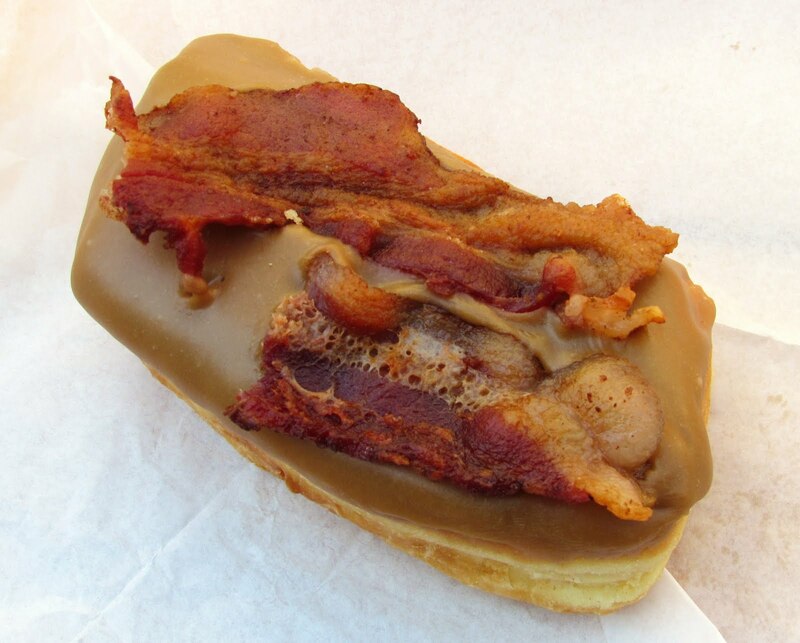 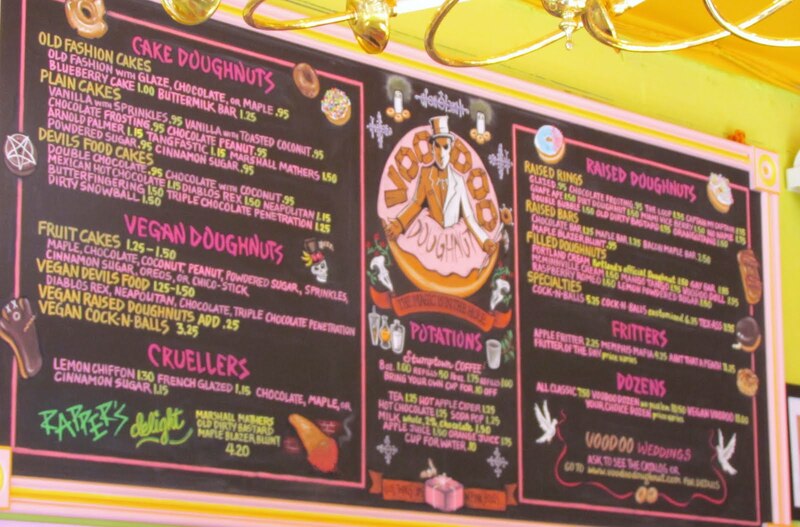 Lastly, no gastronomic tour in Portland would be complete without a stop at Voodoo Donuts :) We grabbed a voodoo doll and maple bacon bar and they lived up to the hype! 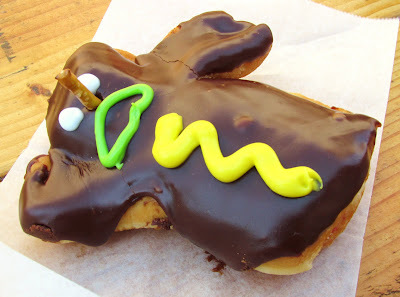 The sweet & savory combination was delicious in the maple bacon bar and the raspberry jelly filled voodoo doll tasted so fresh! 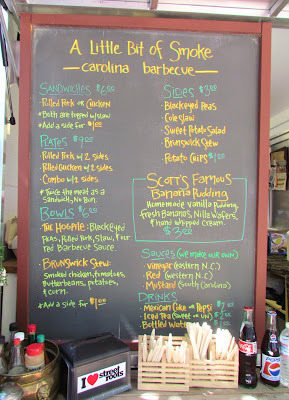 I got the Banana Pudding and it was so delicious and fresh!